Active adults and retirees looking for a 55+ community in Eastern Massachusetts have plenty of options that can suit their needs. Age-targeted communities in Eastern Massachusetts have access to great healthcare facilities, cultural attractions, a four-season climate, and scenic natural landscapes including a beautiful coastline. Active adults living within age-restricted communities in Eastern Massachusetts can enjoy a small-town lifestyle with easy access to freeways and major metropolitan areas. Although the cost of living is typically higher than other states, residents aged 55 and better can still find an attractive and affordable active adult community in Eastern Massachusetts. Some of those communities that offer well-appointed amenities and beautiful homes include Oak Point in Middleborough and Del Webb's Great Island in Plymouth, just to name a few. Active adult communities in Eastern Massachusetts are located in the Greater Boston area, Cape Ann, and Cape Cod Bay. 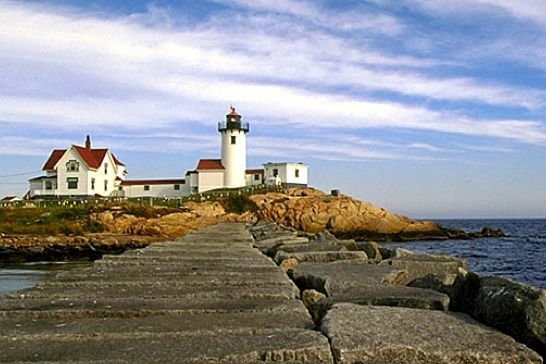 Eastern Massachusetts lies along the Atlantic Ocean, which make up its eastern shoreline and offers scenic views to homeowners living in age-targeted communities in Eastern Massachusetts. The largest area in Eastern Massachusetts is the Boston metropolitan area that has a population of 6.4 million residents. Eastern Massachusetts is mostly comprised of urban and suburban neighborhoods. Residents aged 55 and better residing in active adult communities in Eastern Massachusetts enjoy a four-season climate throughout the year. Active adults can enjoy beautiful New England fall foliage, winter sports, sandy beaches along the coastline during the summer and picturesque natural landscapes in the spring. There are plenty of fun attractions in Eastern Massachusetts. Active adults can visit attractions like Paul Revere s Ride, the landing of the Mayflower, Plymouth Rock, Minute Men, and the battlefields of Concord and Lexington. Retirees and active adults are sure to find fun facts and knowledge by visiting these great historical and cultural locations in Eastern Massachusetts museums. Boston also has a variety of museums and historical sites for active adults to visit including Paul Revere s house, the Museum of Fine Arts, and Battleship Cove. Residents aged 55+ can also enjoy a walk through the Boston Public Garden or attend a concert at the Boston Symphony Orchestra. Other great attractions include Freedom Trail, which takes you on a journey of colonial and war-era locations like Bunker Hill and Beacon Hill. Eastern Massachusetts is also home to a variety of professional sports team like the Boston Red Sox, New England Patriots, Boston Bruins, and Boston Celtics. Active adults can watch the Red Sox play at Fenway Park and witness the famous Green Monster in left field. The cost of living in Eastern Massachusetts is typically higher than the national average. Although the cost of living is higher, the yearly income of most residents is also higher than the U.S. national average. Eastern Massachusetts has a 6.25 percent sales tax. Eastern Massachusetts has over 100 higher education institutions that support state-of-the-art medical research facilities. Boston has some of the best healthcare facilities in the U.S. such as Massachusetts General Hospital, Brigham and Women s Hospital, McLean Hospital, and Beth Israel Deaconess Medical Center, which all have nationally ranked specialties.